Raised in a middle-class Jewish family in New York, Betty Baer came of age in the turbulent sixties and joins the Revolutionary Communist Party. 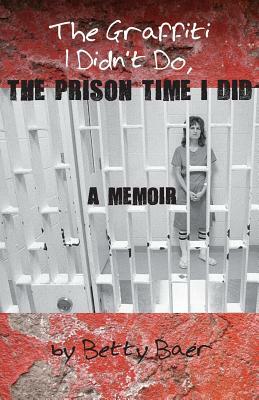 Her memoir, The Graffiti I Didn't Do, The Prison Time I Did, chronicles her arrest and incarceration for the 1980 spray painting of an anti-American slogan on the Exxon building in Houston, Texas. Betty remains loyal to her comrades, and despite her innocence, goes to trial and prison. Behind bars, she shares a common humanity with her fellow women prisoners, confronts her guilt over her activism's effect on her children and delves into her unquestioning commitment to a political idea. Throughout her story, Betty weaves the 1960s anti-Vietnam war movement, her migration to Texas and reflections on issues of criminal justice, police brutality and surveillance of activists that remain relevant today. Betty survives her ordeal with the support of family and friends, who keep her uplifted through a flood of letters, visits and by bringing her case to the public. Eventually freed, but changed, she returns home with her ideals renewed and prepares for a new beginning. Betty Baer moved to Texas from New York in the 1970's to spread the revolution. While no revolution fomented, she savors her life in Houston where she lives with her husband Fred. Her sons, daughter in law and granddaughter are close by.